Some circus collectives are so famous that tourists specially plan their trips to see the legendary performances. We represent the most famous and interesting circus collectives of the world. When in 1880 the circus of Albert Salomonsky on Tsvetnoy Boulevard received the first spectators, its hall looked like a home theater: five rows of armchairs, a mezzanine, and a standing gallery. Over time, it grew and became famous, but the warm, family atmosphere has not been lost. Perhaps because of the fact that for a long time at the helm there is one dynasty. 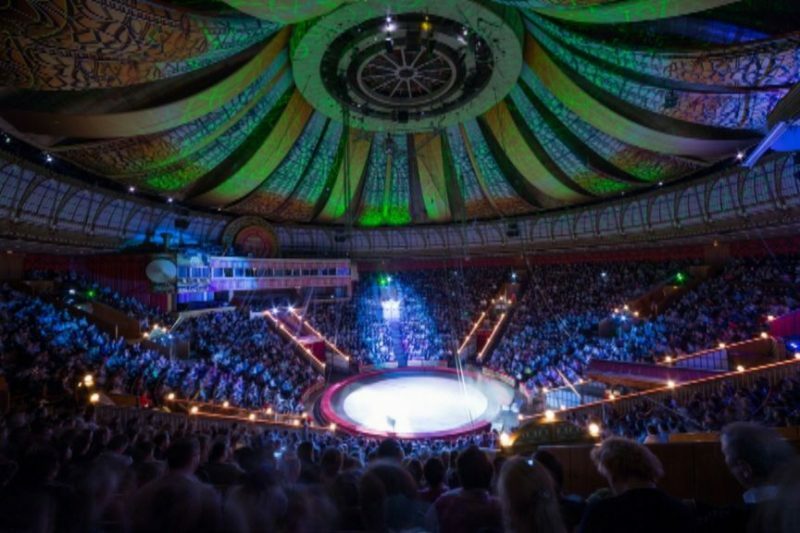 During fifteen years the circus was managed by Yury Vladimirovich Nikulin, now the son of the artist Maxim Yurievich is in charge, and his mother Tatyana Nikolaevna Nikulina is working as a consultant. Tricks here are trying to remake into theatrical shows. The programs are built in such a way that they are interesting both to the smallest and adult visitors. Perhaps that's why it's still hard to get tickets here, as before. For 29 years, performances of this circus were watched by 100 million spectators in 300 cities in 40 countries on 6 continents. It became possible due to the simultaneous launch of the show on various venues, both on temporary chapels and on an ongoing basis. If 20 people took part in the first performances, now 1300 artists from 50 countries are working in the circus troupe. Creative laboratory "Cirque du Soleil", where they come up with the concepts of new shows, sew suits and create props, is located in Montreal. 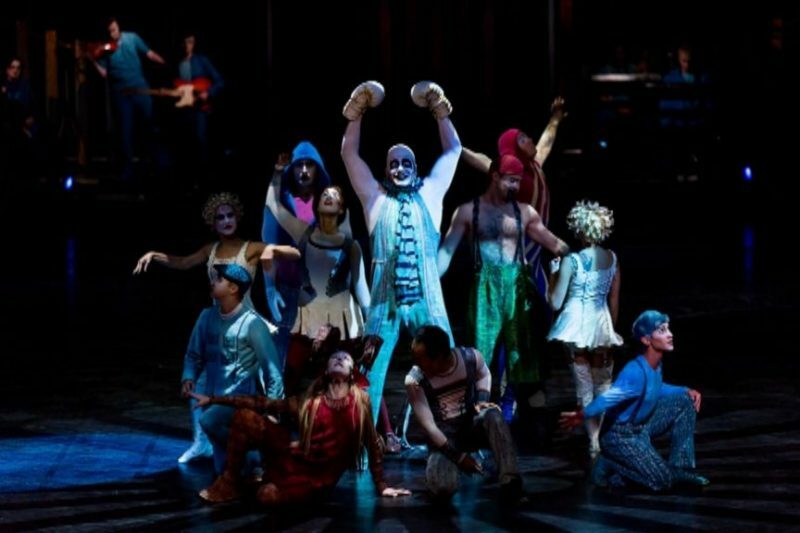 Guy Laliberte, who created the "Circus du Soleil" in 1984, relied on acrobats, jugglers and clowns, whose numbers form a single plot of the play. Trainers with animals are not performing here. 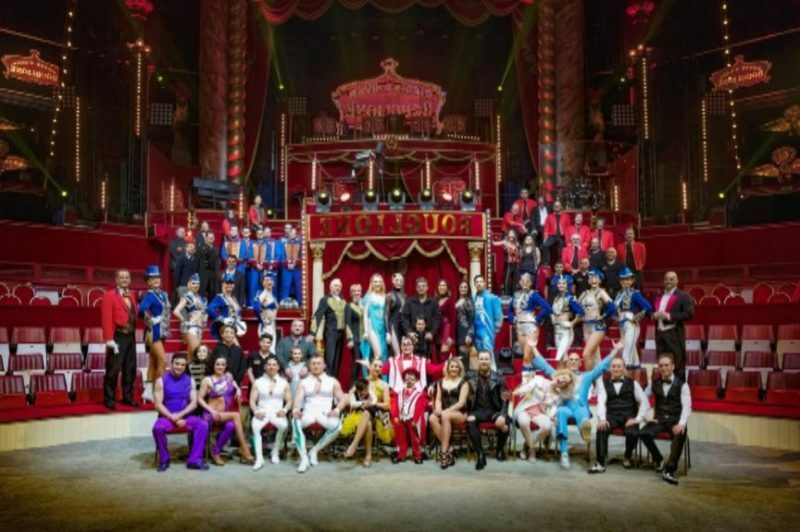 Pretending for the title of the oldest of the current circuses, "Circus d'Iver Bouglyon" was built in the middle of the XIX century on the initiative of the director of the summer circus on the Champs Elysées Louis Dejan. The inauguration in 1852 was honored by the Emperor Napoleon III himself, and as a result the circus was named in his honor. Already in 1859 the "Circus of Napoleon" went down in history thanks to the first ever acrobatic number with an air trapeze, invented and performed by Toulouse Leotard. In 1873 it became the Circus d'Iver, and in 1934 in the name appeared the surname of the new owners - the Bouglyon dynasty, which is still closely connected with it. Now the older generation of the family deals with administrative issues, the middle one performs in the arena with equestrian numbers, and the younger ones - the brothers Valentino, Dmitry and Alessandro - participate in the show as illusionists. The circus on Vernadsky Avenue is still considered the largest stationary circus in the world. Built in 1971, it boasts a huge arena, a 3310-seat auditorium, six manees and an amphitheater of 36 meters high. 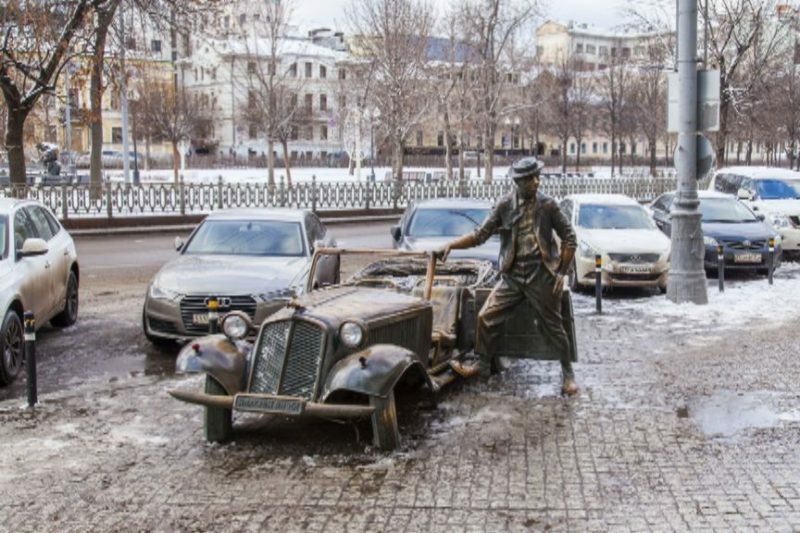 In the past Oleg Popov, Karandash and Yuri Nikulin perfomed on this scene. Now 300 artists work here, among them are famous gymnasts Abramov, equilibrist Vladlena Ananieva and acrobat Anna Dikul. Performances of the collective are famous for its scale: sometimes they involve more than 200 exotic birds and animals. 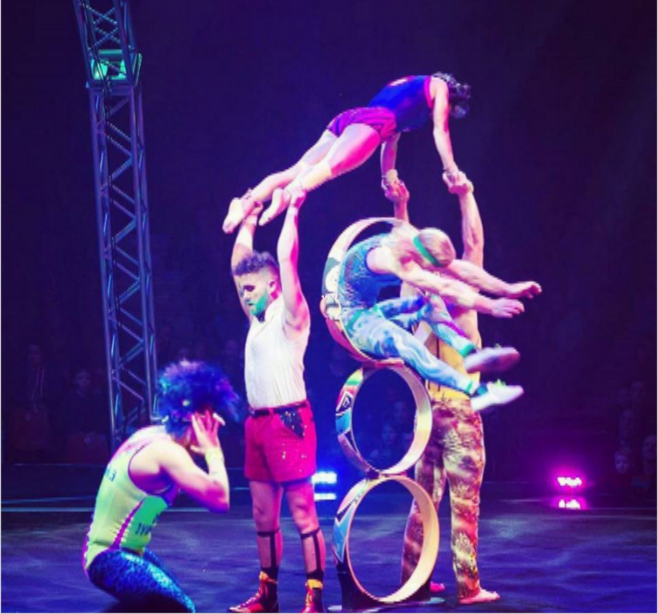 This circus is located in the northern suburbs of Shanghai and is considered to be one of the largest in the world both in terms of the size of the building (over 1600 spectators can watch a perfomance at the same time), and by the number of artists in the troupe. 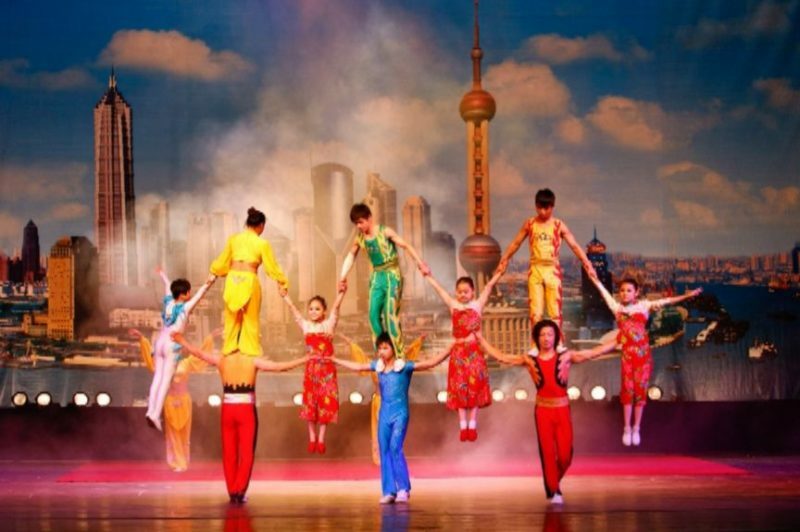 Since 2005, the most popular performance of the Shanghai circus was the performance "ERA - Crossing Time". Among the artists the Chinese dominate, but "ERA" was firstly organized by Canadian Erik Villeneuve. The show combines traditional Chinese acrobatic numbers and modern multimedia technologies. For example, in one room the image is projected onto an 18-meter wall of water. But the juggling by a porcelain jug Chinese circus artists came up in the II century BC. The circus of the brothers Ringling, Barnum and Bailey works according to the principles of a wandering circus. Within two years, two troupes, "Blue" and "Red", are working on tours during 11 months a year and they don’t intersect with each other anywhere. Then they return to headquarter - Circus apartment in Florida and prepare a new show. Thus, every year the circus arrives in 90 US cities with new performances. In order to travel around the country, each troupe uses 40 cars and 20 trucks. 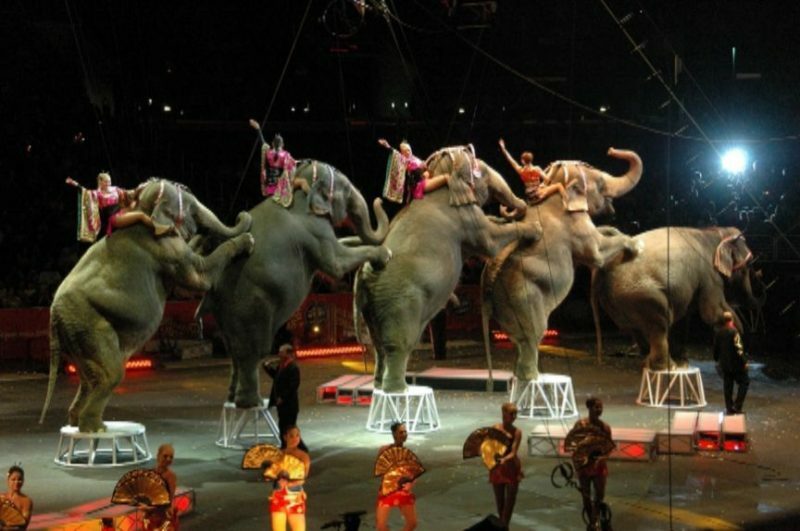 The history of the circus began in 1881, when the "Best show on Earth Barnum and Bailey" appeared, which arose as a result of the conjunction of the circus of Barnum and James Bailey. And in 1907 the troupe was led by the Ringling brothers and by the end of the 1920s they bought out the share of Barnum and Bailey. Since then, the Circle of the Ringling Brothers, Barnum and Bailey has become a synonym of the circus for Americans. Circus Oz was born in 1978 as a result of the conjunction of two circus troupes. The concept of the show was formed after the troupe was trained by the Chinese colleagues in 1979. One of the first circuses that abandoned the numbers with animals, Oz was built on the principle of universality of artists. As a rule, 12 people participate in the staging, each of which is a juggler, an acrobat, an air gymnast, and a clown. A two-hour performance takes place with live music and is a themed show with elements of rock-and-roll, theater and satire. Based in Melbourne, the circus "Oz" constantly tours in Australia and New Zealand, and regularly travels to other countries.